Fall is Upon Us Here in the High Country! The High County Host has put together this NC High Country Fall Color Guide. 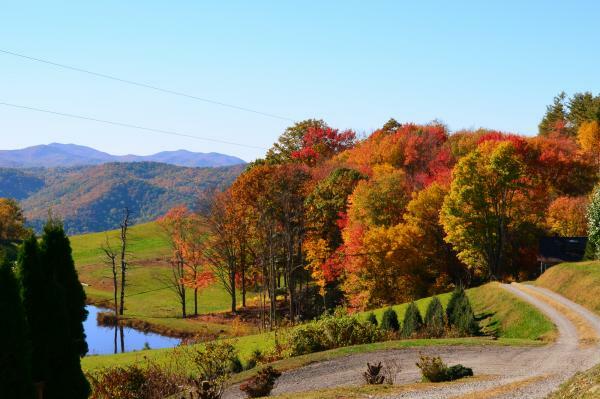 Click HERE for leave color updates, maps for drives, rides, and routes for Alleghany, Ashe, Avery, Watauga, Wilkes Counties. Fall is a great time to visit Western North Carolina to view leaves adorned in brilliant reds, oranges and yellows. When temperatures cool in autumn, chlorophyll starts to degrade allowing the hidden pigments of deciduous trees to provide a rich, colorful display. This rich display&nbsp;often&nbsp;starts at the highest elevation in late September and early October, gradually progressing to the lowest elevation by late October and early November. Peak season occurs around mid-October. &nbsp; As we watch leaves fluttering to the ground in the fall, we are reminded that nature&#39;s cycles are mirrored in our lives. Autumn is a time for letting go and releasing things that have been a burden. Ashe County North Carolina is a small, rural Western North Carolina Mountain county that comprises approximately 427 acres. Much of the rugged land has been preserved, making Ashe County NC an area filled with scenic vistas and gorgeous secret hideaways. Here, the scenic Blue Ridge Parkway makes it way around the county, and the ancient New River snakes through the valleys, creating unforgettable landscapes and picturesque mountain cabins and building sites. At A1 Mountain Realty, we are committed to helping our clients find Western North Carolina Mountain Property for Sale that they only dreamed of owning. 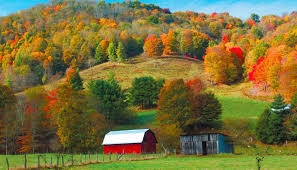 Let us help you find Western North Carolina Mountain Property; browse our Ashe County Real Estate listings at www.a1mountainrealty.com or stop by our office right in the heart of Downtown West Jefferson. ← Blue Ridge Brutal Bike Race!